Don’t let a small home dissuade you from having a functional living space! 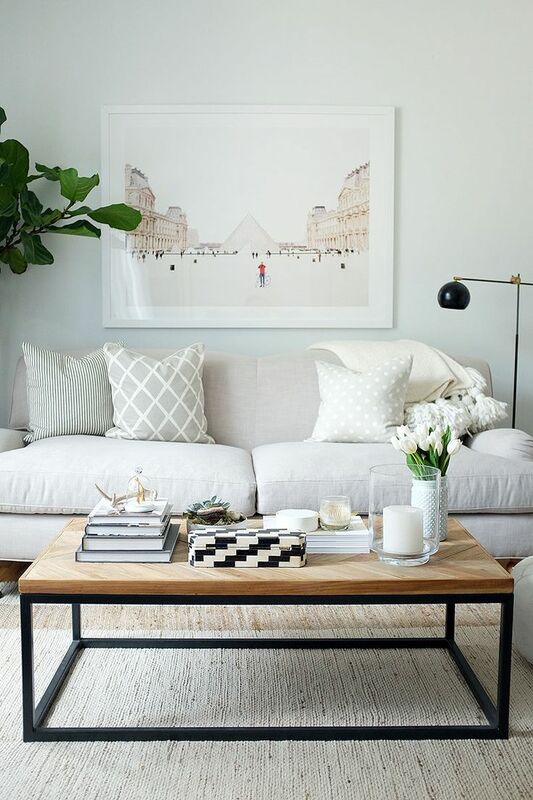 These tried and tested home decorating dos and don’ts give the illusion of expansive space. These tips are also perfect if you’re trying (and failing!) to free up more room in your tiny residence. Never ignore those little awkward spaces in your tiny home! 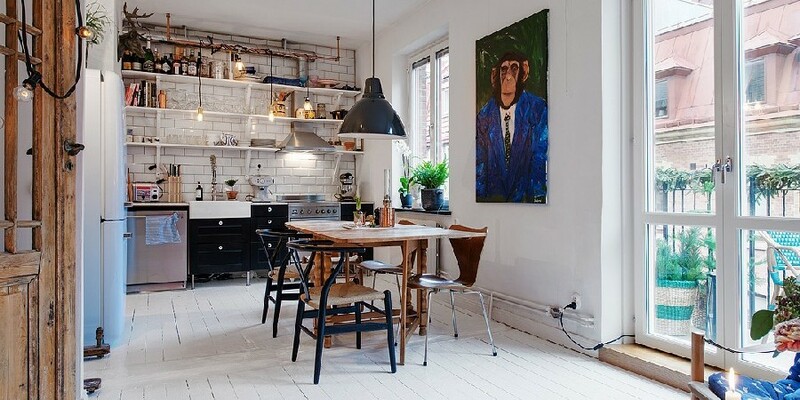 Make the most out of these unused spaces with creative style hacks. 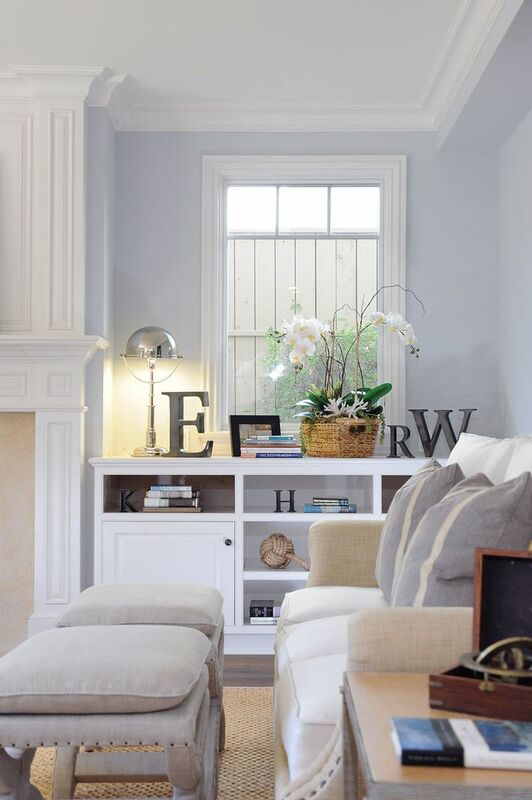 You can turn an empty corner into a reading nook or perhaps, an impromptu storage space. The possibilities are endless! One of the simplest ways of making a small home appear larger is to mind the consistency of your wall color. Painting the walls a single color is a great way to maintain openness. But for those who want to add a little color to their homes, try using gradual color variations. The key here is to reduce the physical distance between spaces. If you’re using different colors for the walls, paint the trims and moldings the same color. Simplicity is key when decorating a small space. That does not mean making do with bare windows. You can use simple window treatments to decorate your living area. The point is to not go overboard with the window decors. 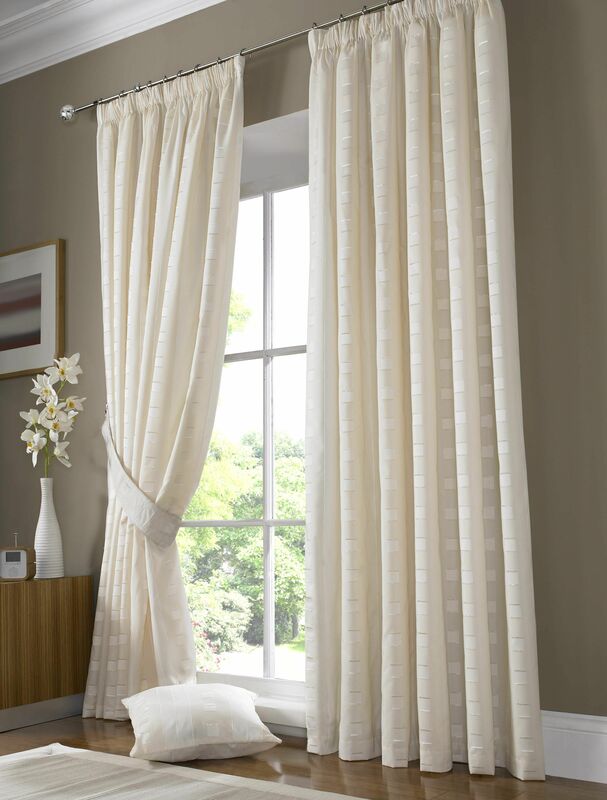 Simple blinds or Roman shades work great if you want a little privacy at night. 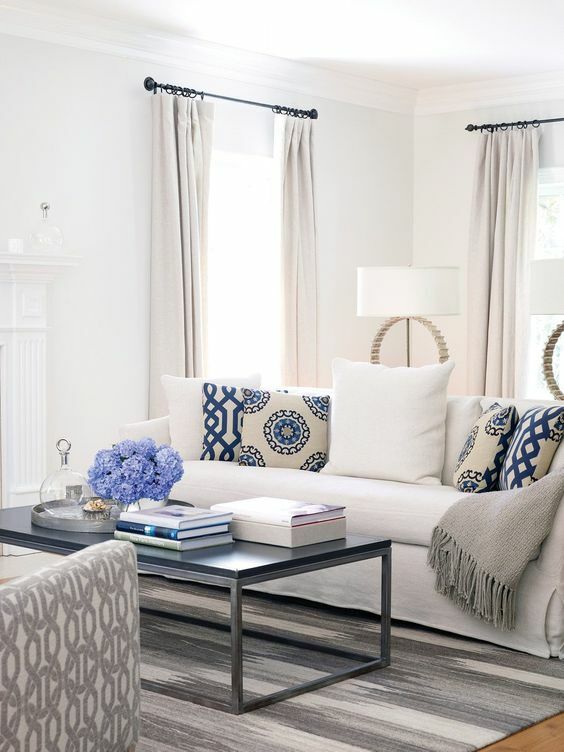 Simple draperies or curtains are perfect for adding softness to a space sans the clutter. Don’t be afraid to add a little color to your home to liven up the space. 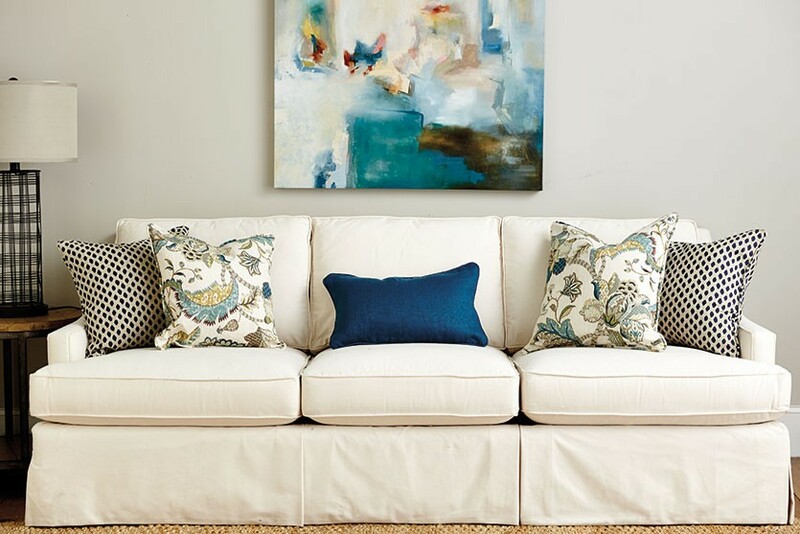 Start incorporating colors by adding an accent or throw pillow in the living room. Or a patterned rug in the bedroom! 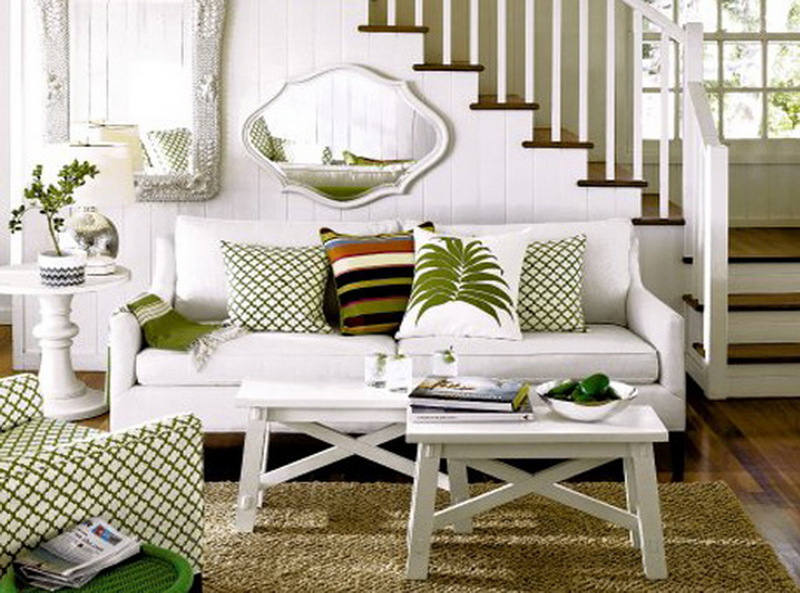 We’ve listed down great ways to add a pop of color to your space, click here for more tips! And you don’t have to count out dark colors! Yes, dark colors can make a small room even tinier so use these colors sparingly. Also, it helps to use white trims if you’re playing with deep wall colors. You can also blend different textures to add depth and personality to your home. 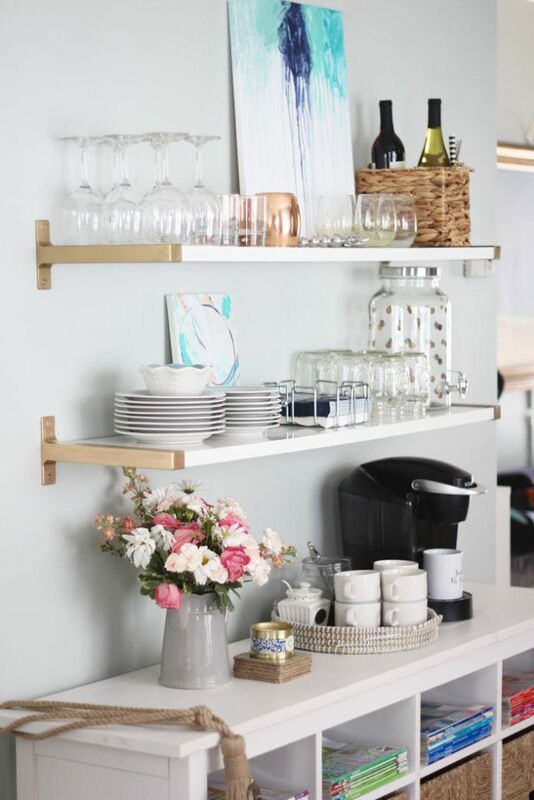 We are huge fans of open shelving and for a reason! Open shelves are not only easy to install, they add functionality to a space. And they come in an array of colors to choose from! Traditional closed shelves add elegance to a space but they are bulky and expensive. Open shelves are lightweight, stylish, and they maintain the openness of the space. Open shelves pair well with different interior designs or color schemes too! 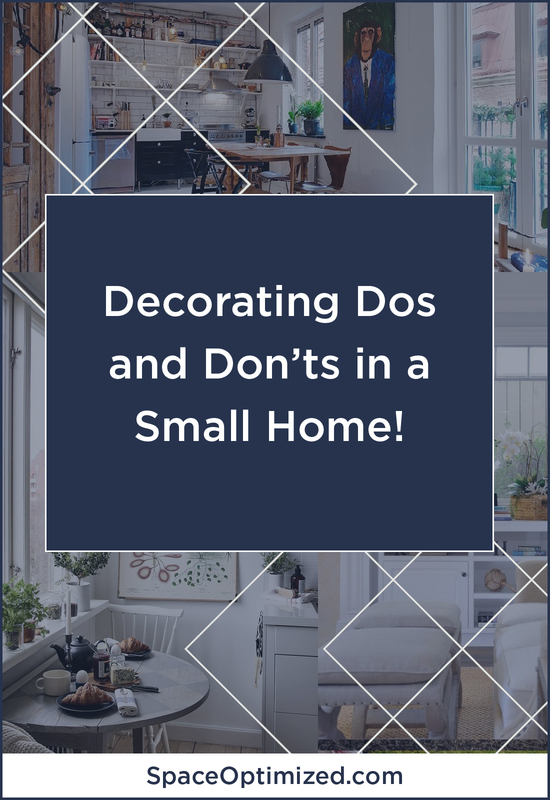 These points are important when decorating a small space. Now if say, you’re not 100% sold on using open shelving, go for closed shelves with glass fronts. 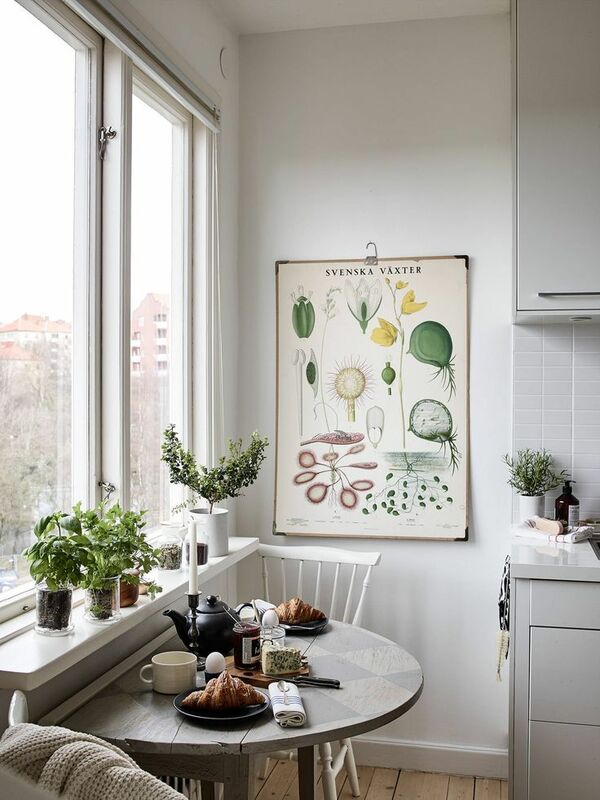 When dealing with small spaces, the general rule of thumb is to never waste a single square inch. For a small home with virtually zero storage space, make the most out of any unused vertical space. Use vertical organizers in different profiles to maximize every precious square footage! Free standing units and mountable shelves free up more room in a space no matter how small the room is. This rule applies anywhere in your tiny home: the kitchen, the bathroom, the bedroom, etc. It’s never a good idea to buy a massive couch when the lack of space is giving you a major headache. Large furnishings take up space like no other. Think of all that wasted space! When furniture shopping, always keep a piece’s height, width, and depth in mind. If you’re unsure, use a measuring tape and check a furniture’s exact dimension before making a purchase. If you must scale down, do it. If you have to choose between a gorgeous albeit bulky sofa and two small loveseats, go for the latter. The same thing goes if you are faced with the option of a large dining take versus a small, foldable table. Think compact, small and space saving. The same thing goes if you are faced with the option of a large dining take versus a small, foldable table. Think compact, small and space saving. You don’t have to strip a space bare of furniture to fit everything. There’s no need to compromise style for functionality, you can have both by making smart choices. The last thing you want is to spend hundreds of dollars on a dining table that don’t even fit your tiny studio. This is, of course, a no-brainer but you’d be surprised how easy it is to overfill a space without even knowing! Overwhelming your home with lots of furnishings will only limit what little space you have to maximize. If your space is over-furnished, now’s the best time to re-edit your living area, go easy on the furniture and create a functional yet simple space. We recommend multipurpose furniture or pieces that do double duty. Love matchy-matchy furnishings? I don’t blame you! But don’t buy everything in a set just because you could get a great deal out of it. You don’t need the two extra ottomans and table to go with your 12-seater sofa and loveseat set. All that furniture will leave little breathing room. 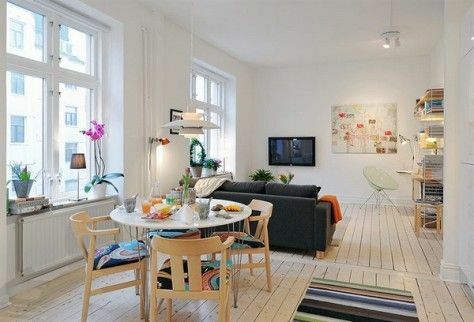 Curate your living area and pare down your furnishings if the space has become too congested with stuff. One quick way of making a tiny home look extra busy is laying the patterns thick! An eye-catching pattern makes a great focal point in a room but too much of it will ruin your style. Instead of painting the entire room, choose one wall for the graphics or pattern. The key here is to incorporate the graphics in the room, not overwhelm the space. 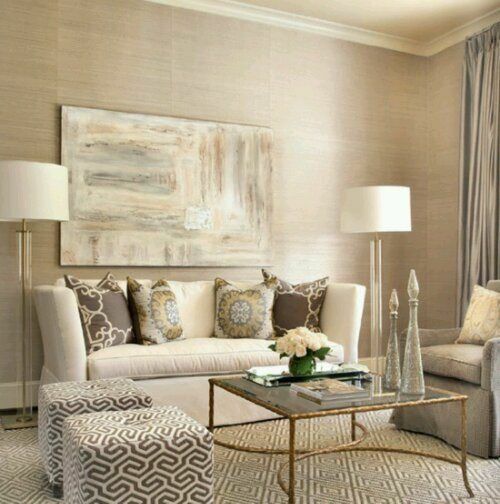 If you’re adding an interesting pattern in your living area, add a mix of neutrals and keep the walls light. These design elements add personality and style to the space without shrinking the room visually. Unexpected spaces like the back of a door can turn into extra storage space! 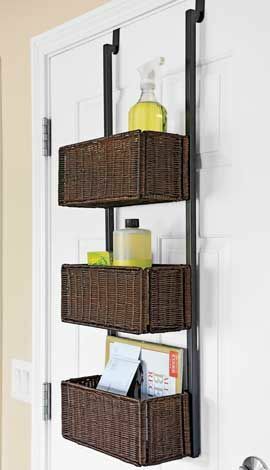 You can make the most out of these neglected areas by installing over-the-door hooks and wall-mount organizers. Then, dress the back of the doors with baskets, bins, and racks to make every square footage count. Laying the graphics on thick or propping a too-large accent bench in a room could easily overwhelm a modest space. An accent piece is supposed to complement the room, not make a place look overdone! It’s fine to introduce an accent piece but keep the styling polished. The accent piece should never dominate the space. Don’t create chaos in a room by adding a bunch of random tchotchkes all over the space. Angel statues, crystal figurines, an overabundance of coasters, and mismatched candlesticks are just a few of knickknacks you can live without. These decors can make a space look extra busy. What’s more, they’re a pain to clean one by one. If you collect these items, showcase a few pieces and store the rest in a curio cabinet. Edit your collection as much as you can and don’t show ‘em all in one place!